The most common form of hearing loss is age-related hearing loss, otherwise known as presbycusis. The prevalence of hearing loss approximately doubles with every decade of life. It affects 41.7% of over 50-year-olds, and 71.1% of over-70-year-olds (Action on Hearing Loss). In Cambridgeshire approx. 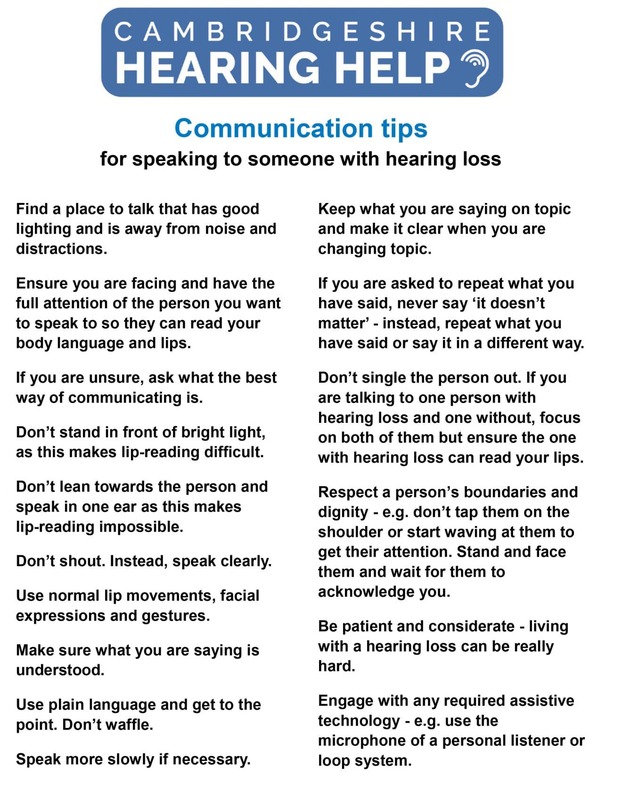 142,000 people have hearing loss and this figure is set to sharply increase as a result of the ageing population. For example, the over 65’s are forecast to grow almost 80% between 2013 and 2036, with the over 90s growing by more than 250% (Cambridgeshire Insight). Community talks and assistive technology demonstrations. 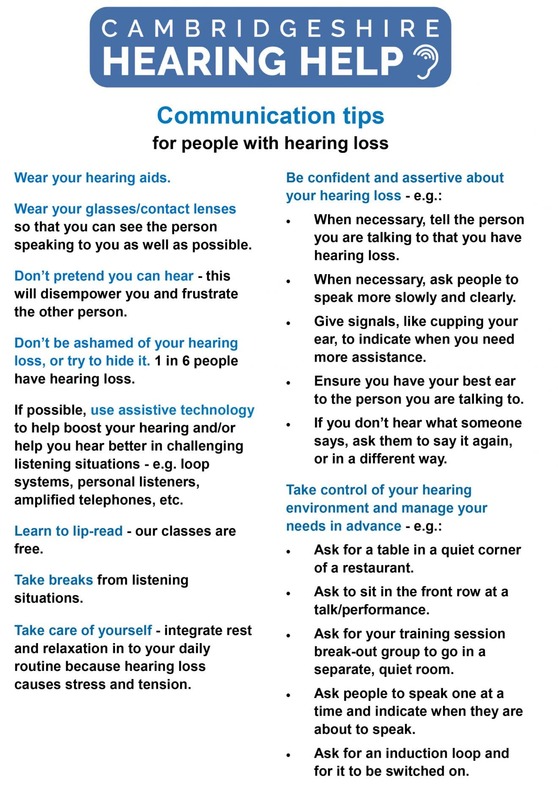 If your community group wants to learn more about hearing loss and the best ways of managing it, we can provide talks/demonstrations of assistive technology.